Discover the beauty surrounding you! 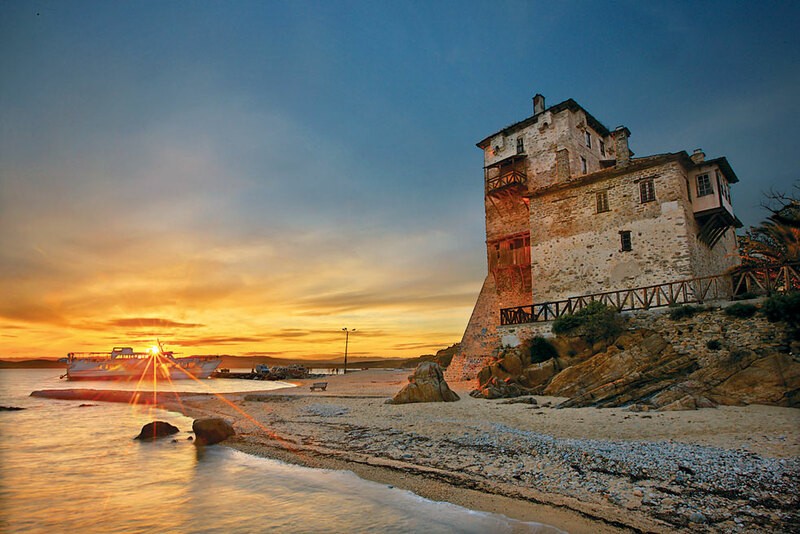 Ouranoupoli is a coastal village of Chalkidiki and the last secular destination before someone goes to Mount Athos. Located in the "third leg" of Chalkidiki. The quickest way is via Egnatia Odos - Stavros - Ierissos. The most beautiful way is through Arnaia - Stagira - Stratoni. Each year hundreds of thousands of people pass through the port of Ouranoupolis to take the boat and visit the Mount Athos. In 2010 the population numbered 960 inhabitants, who are mostly engaged in tourism and fishing. The present village was built on the ancient city location. The latter was founded in 315 BC from Alexarchos, who was the brother of Cassander. He built Ouranoupolis on the ruins of ancient Sani, which was destroyed by Philip II. In the southwest of the village is the Tower of Ouranoupolis dating from the 14th century, then restored by an earthquake in the 19th century and today one of the adjacent buildings is housing the Community Agencies. The Tower settled refugees mainly from Marmara in 1922 and the pair Lock in 1928. Ouranoupolis took its current name around 1960 when it began to develop tourism. Ammouliani is located between the peninsulas of Mount Athos and Sithonia and is the only inhabited island of Chalkidiki. Known for its beautiful beaches, is a favorite destination for thousands of visitors. There are not permanent crops and that has helped Ammouliani to remain untouched and can easily be described as paradise. The beaches are the trademark of the island. The name of it, prefigures what you will delight: sandy beaches with turquoise waters. Alykes, on the rear side of the island, is one of the most beautiful and large beache. The fine white sand and crystal clear waters will amaze you. It is organized with umbrellas, canteen and cafeteria. To the north of the island is the St. George beach and the beach of Megali Ammos, where there is a tavern and cafeteria. To the southwest lies the Karagatsia beach. This is a small cove with elms. Finally, The Gaidouronisia or otherwise Drenia Islands are located at the south-east of Ammouliani. 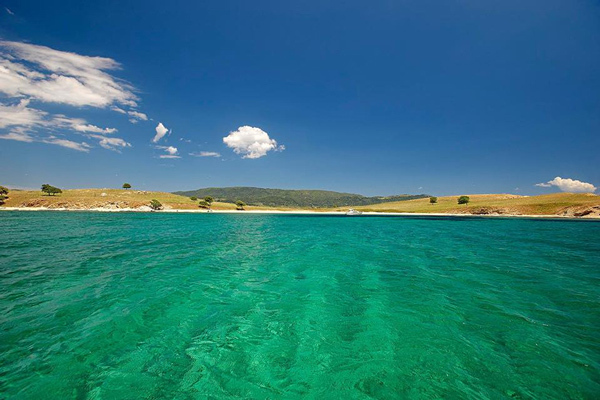 It is so close that you think you can go swimming from the southern beaches of the island! Do not forget to visit the tavern has been operating for many years on the island!